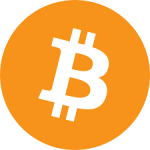 PYMTS.com: Afghanistan is looking to boost its ailing economy with bitcoin. At the annual Spring Meetings of the Boards of Governors of the World Bank Group and the International Monetary Fund in Washington, Khalil Sediq, governor at the Central Bank of Afghanistan, told The Asia Times that Afghanistan might issue a sovereign crypto bond that uses blockchain technology. The goal is to raise $5.8 billion to support the country’s critical mining, energy and agriculture sectors. Afghanistan has been in economic turmoil for the last three decades, with the country’s 25-percent population currently unemployed and living under the poverty level. Click here to read more (external link). 1TV: The editor-in-chief of 1TV and senior journalist, Abdullah Khenjani, said that he was beaten up and briefly detained by the security guards of President Protective Service (PPS) as he was supposed to attend an off the record discussion at the Government Media Information Center on Monday. Click here to read more (external link). Some 250 Afghan politicians and civil society figures had been due to meet with Taliban negotiators in Doha starting on April 19 for the so-called intra-Afghan dialogue. It would have marked the first time that Taliban and Kabul government officials sat together. But the meetings were abruptly cancelled on April 18 amid disagreements about the size and composition of the Afghan delegation. 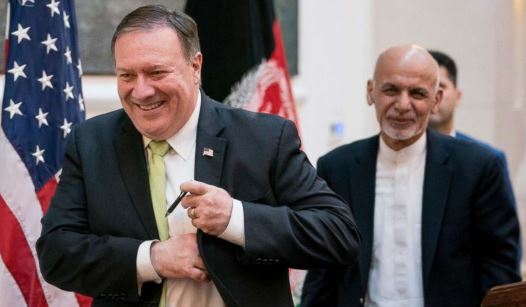 The State Department said in a statement that Pompeo called Ghani on April 21 and condemned the Taliban’s announcement of starting another offensive in the spring. Pompeo also said that the talks present an important opportunity to advance peace. “The secretary encouraged all sides to seize the moment and reach an understanding on participants, so that an inclusive intra-Afghan dialogue can be convened in Doha as soon as possible,” the State Department said. Tolo News: The Supreme Court of Afghanistan has approved the extension of President Ashraf Ghani’s tenure until the upcoming presidential elections scheduled for September 28. 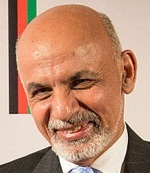 Based on the Constitution, Ghani’s tenure ends on May 22. A number of presidential candidates described the court’s decision in defiance to the spirit of the law and accuse the president of “suppressing” democracy. Click here to read more (external link). In an interview with AFP in the Qatari capital, Doha, on Saturday, the Taliban’s political spokesman Suhail Shaheen said previous negotiations with Washington had seen the two sides agree to a total withdrawal. “In our last round of talks with the US side, we agreed with them on withdrawal of all foreign forces from Afghanistan,” Shaheen said. In return for a withdrawal, the militant spokesman said, the Taliban have committed to preventing terror groups using Afghanistan as a launchpad for attacks on other countries. Shaheen said that agreement needed to be fleshed out at the upcoming talks in Doha in the coming weeks. “Still, there are some details to be discussed, and this discussion will take place in our next round of talks and that is about (the) timetable of the withdrawal of forces from the country and other details,” he said. The US government denies that any timeline for a withdrawal has been agreed with the Taliban yet. The last talks in Doha, where the Taliban has a political office, concluded in March with US special envoy Zalmay Khalilzad saying “real strides” had been made in efforts meant to put an end to the almost 18-year war in Afghanistan. Khalilzad, who is leading the talks for Washington, said that no agreement had been reached on when the US and other countries might leave Afghanistan. A meeting between the Taliban and Afghan politicians that was due to take place over the weekend was canceled amid bickering about Kabul’s lengthy list of delegates, which initially comprised 250 people. The conference would have been separate from the main US-Taliban peace talks. 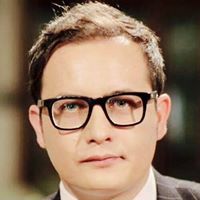 The talks in Doha have so far excluded the Afghan government. The militant group has rejected a government bid to attend the talks as well as an offer to open an office in Kabul, urging instead international recognition of its office in the Qatari capital. The Taliban militant group has recently announced the beginning of its spring offensive in Afghanistan despite involvement in the peace talks with the US. The Taliban’s five-year rule over at least three quarters of Afghanistan came to an end following the US-led invasion in 2001, but 18 years on, Washington is seeking truce with the militants, who still control large swathes of land in the country. 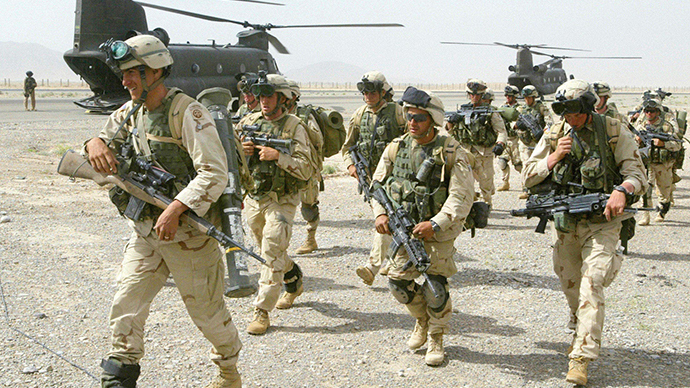 US forces have remained bogged down in Afghanistan through the presidencies of George W. Bush, Barack Obama, and now Donald Trump. According to a statement published by the militant group’s Amaq news agency on April 21, the assault on the Communications Ministry headquarters in downtown Kabul was carried out by four IS followers. Police also shot and killed four other militants before they could reach their target of the nearby central post office, Rahimi said. The official said some 2,700 government employees and civilians were rescued by security forces after being stuck in several government buildings. Tolo News: The air pollution in Kabul is seasonal and it will increase with the arrival of summer. A report released by an American institution last year listed Afghanistan among the ten cities in the world which have the most polluted air. During winter, as the weather gets cold, the air pollution increases in the city due to the use of low-quality fuel by its residents. Click here to read more (external link). Ariana: “Now I’m not giving any advice to the Afghan government, because it would call it interference,” Khan said while speaking at a public gathering in Khyber Pakhtunkhwa. Pakistani PM added that he will pray for peace in Afghanistan, reminding that it has been 40 years since Afghans have been suffering from war. 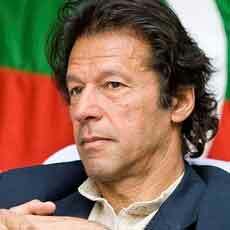 Recently, Imran Khan suggested formation of an interim government in Afghanistan for the sake of peace which drew strong reactions from Afghanistan. Click here to read more (external link).